About - Linda Dancer with Honeymoons, Inc.
Who is Linda Dancer with Honeymoons, Inc.? I’m a Sandals and Beaches Resorts Chairman's Royal Club Luxury Travel Expert as well as Sandals Platinum WeddingMoons Specialist. I have visited all the Sandals/Beaches Resorts and love listening to my clients describe their dream destination for their honeymoon, milestone wedding anniversary, retie the knot celebration with family or destination wedding. By narrowing my focus to Mexico, the Caribbean and the Hawaiian Islands, I am able to travel regularly to these destinations and keep up with improvements at the resorts. Most importantly I am able to maintain a working relationship with the resort management teams to make sure my clients are well cared for while on the property. I am proud to be part of the team at Honeymoons, Inc. a leader in the romance travel market for many years. 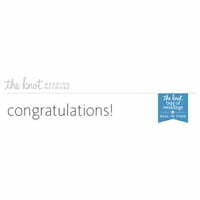 I am a 2015 TheKnot Best of Weddings Hall of Fame Inductee and a WeddingWire 100 Review Club Award winner. LET’S GET STARTED MAKING YOUR PLANS TODAY!